Imagine a friend asks you to his house for dinner, and that friend happens to be a chef who whips up some amazing dishes with perfect flavor balance. With its intimate dining room, open kitchen, and terrific food, that was pretty close to our experience at G Bar and Kitchen in Swampscott last week. We were warmly greeted when we walked in and seated at a cushy banquet. The room holds only about 15 tables, with bar seats for about 10 more, and the décor was clearly chosen for sound baffling and comfort as much as style. We ordered Stella Artois ($5.50) and a glass of pinot gris ($10) and happily snacked on fresh focaccia and delicious green olive spread. For starters, we shared an order of spring rolls ($8) and a caesar salad (which the waitress split for us without being asked). The rolls were crispy without a hint of grease, and the flavor was great: a combination of cool mint, spicy ginger and chili, and baby bok choy. The salad was a huge hit, crisp romaine and arugula with lots of focaccia croutons and a dressing that managed to be light, creamy, and pungent all at once ($7). We went for one of the entrée specials that night ($28). The dayboat seafood was swordfish, and it did taste amazingly fresh. It had a slight crust on the outside and a tender inside and was seasoned perfectly. It was accompanied by tender asparagus and two eggplant rollatini filled with goat cheese that would make a great entrée themselves. The beef short ribs were equally good in their uber-comfort-food way, especially accompanied by savory parmesan-romano risotto ($25). We were a bit too full for dessert, but we read they are made onsite, so that gives us a perfect excuse to return to try more of Chef Brackman’s thoughtful cuisine and warm hospitality. 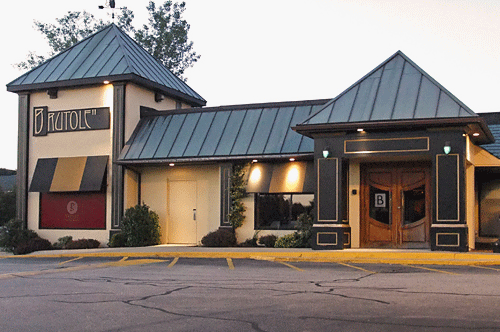 A friendly atmosphere, cozy setting, and an interesting menu are all indicators of a good dining-out experience. 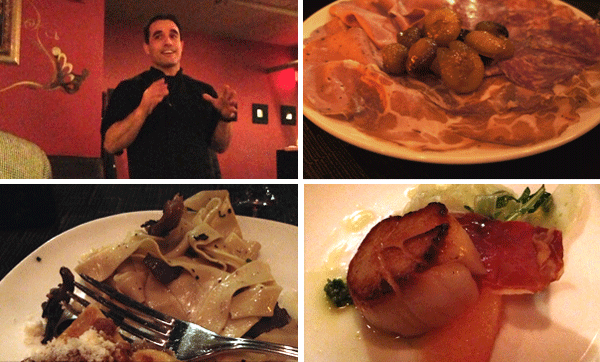 Of course, you never know until the food comes, but at Adriatic last weekend, those signs were spot on. For those familiar with Salem dining, Adriatic went into the downtown space formerly occupied by Edgewater Café. The new owners gutted it completely, turning it into a very welcoming fine-dining establishment. There’s a medium-sized triangular bar on the right-hand side, tables on the left, and several bar tables in the main windows, which is where we sat. There’s a back dining room as well, equally cozy, and the night we were there, it was occupied by a private party. One thing we particularly liked about Adriatic was the menu; it’s not huge but somehow has just the right amount of options, including pasta, risotto, meat, and seafood. We selected a caesar salad and the special soup to begin. The salad was fresh and tasty ($8.50), but the four-onion soup upstaged it mightily ($7.50). The onions were deeply caramelized, so the broth was on the sweet side, and the large grilled-bread crouton was the perfect foil. For entrées, we tried the cod in parchment ($19) and another special, the pumpkin ravioli ($24). Both were perfectly cooked and had great flavor. The ravioli were large squares of (we’re assuming) hand-made pasta with a barely-sweet filling and a light sauce. The cod was a generous portion of fish accompanied by tender potato slices, tomatoes, and delicious black olives. We decided to splurge on tiramisu for dessert ($6.50), accompanied by an espresso ($2.50) and a cappuccino ($3.50). The drinks were hot and authentic, and the tiramisu was rich but not too heavy. The service, by one of the bartenders, was a definite highlight—very polite, friendly, and attentive. Our meal was perfectly paced and we never felt rushed, even though all of the tables and most of the bar seats were full. We’re looking forward to returning to sample more of the menu, which leans toward Italy but with a definite influence of other Southern European countries. 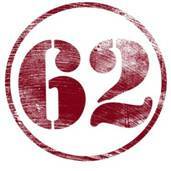 We noticed this week that Sixty2 on Wharf has undergone a bit of a re-brand and become 62 Restaurant & Winebar. Our interest piqued, we decided to find out more. “I wanted a new look, and I think [the new name and logo] speaks to the simplistic fresh approach we take to our food and the uniqueness of our wine list. That’s also why we added winebar to the name,” he said. To celebrate the new 62, Chef Bettencourt has come up with a fresh three-month promotional dinner series with an international flair. The Passport Series features a $28 prix fixe dinner nightly Tuesdays, Wednesdays, and Thursdays from September through November. Each month will feature culinary inspiration from a different country, and each week concentrates on a different region in that country. For added incentive, 62 will be issuing “passports” to diners that can be stamped when they complete a meal. Guests who dine once a week for a month, eating from every region, will earn a free prix fixe dinner the next time they come in. Guests that dine once a month for all three months will be entered to win a free vacation to Europe compliments of 62 and Lynnfield’s Colony Travel. The trip will include a three-night stay and a cooking class at Relais Riserva di Fizzano, Castellina in Chianti. The Riserva di Fizzano is an ancient medieval “bourg” owned by Rocca delle Macie, situated on a hilltop in the Chianti hills, surrounded by vineyards and olive groves. 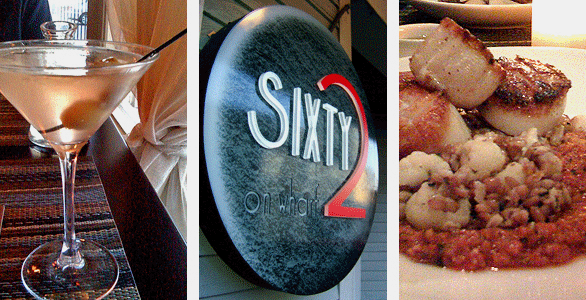 So if you haven’t dined at 62 lately, it sounds like there are plenty of reasons to return: new identity, new dinner series, and, heck, you may even win a free vacation.